Owned and operated by three generations of a Thai family, with a factory surrounded by the famed coconut groves of Nakorn Pathom, Taste Nirvana leverage their location and local contacts to bottle sweet, crisp, refreshing coconut water taken from premium “Nam Hom” coconuts mere hours after harvest. 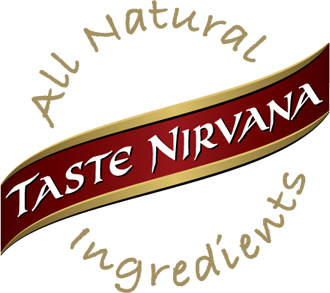 Taste Nirvana was founded by Jack Wattanaporn, a Thai immigrant to the US, and his son Kris. Jack loved coconut water because he’d grown up drinking the traditional Thai beverage; the US-born Kris loved it for its healthy, natural hydration. 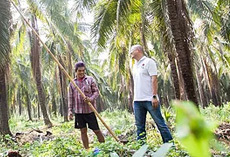 Returning to Thailand, the pair built a processing facility in Nakorn Pathom, the kingdom’s premier coconut growing region, to ensure that Taste Nirvana coconut water would always be the freshest and best tasting in the world. Jack and Kris still run the award-winning business – now in collaboration with the next generation of their family. Since 2003, Nirvana Foods & Commerce International Co. Ltd has been providing an authentic range of exotic coconut water beverages originating from the vast islands off the coast of Thailand. With over 25 years of producing coffee, tea, and milk beverages in the US market, Nirvana Foods has switched its focus on transforming coconut water into a wide range of health and sport drinks that include all natural ingredients such as aloe. Nirvana Foods embraces the purity of coconut water and wants you to combine it into your healthy lifestyle by enjoying all of their coconut water beverages.